This guide was designed to introduce students to MLA Style. It will outline basic formatting rules, provide you with some basic examples and links to more detailed examples, and introduce you to RefWorks, a cloud-based citation management system. 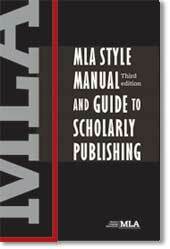 The MLA publishes two style manuals: one for student research papers, and another for professional researchers. MLA Style is a standardized format for writing that has been established by the Modern Language Association. It is generally used by students and scholars working within disciplines related to language and literature, but is also used in many other humanities disciplines. how you cite other authors in text. how you compile a Works Cited page at the end of your paper. We highly recommend that you bookmark these sites for quick reference while writing your paper. Purdue's site is one of the best MLA Style websites out there. 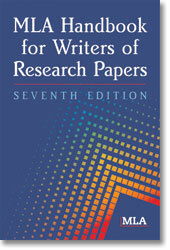 It includes a sample paper, sample references, and basic guidelines for formatting your paper. Hacker Handbooks offers free access to abbreviated versions of their excellent guides online.